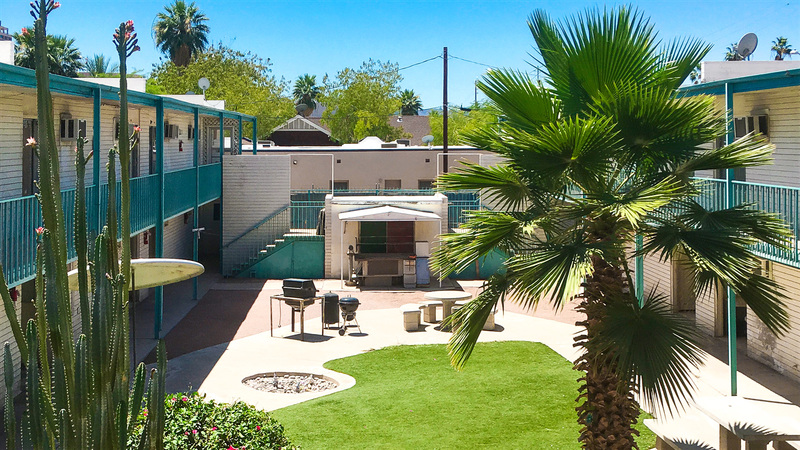 Phoenix, AZ – June 6, 2017 – ABI Multifamily, the Western US's leading multifamily brokerage and advisory services firm, is pleased to announce the $2,700,000 / $67,500 Per Unit sale of the Marshall Manor Apartments located in Phoenix, Arizona. Marshall Manor is a two story, garden-style, mid-century apartment community which rests on approximately 0.65 acres. The property was built of block construction with flat roofing. The property is comprised of all (40) studio apartments with a weighted average size of 450 square feet. "Marshall Manor is located just north of the City of Phoenix's RFP site off Fillmore and the rapidly expanding ASU campus in Downtown Phoenix," states Patrick Burch, Vice President, who along with John Klocek and Ryan Smith, Vice Presidents, were the lead brokers in representing the Buyer in this transaction. According to Ryan Smith, "The buyer saw tremendous value in the property being so close to Downtown Phoenix. The Buyer plans to rebrand and reposition the property, similar to the modern trend that can be seen along Roosevelt Row." The Buyer, MDM Investments, is a private investment partnership based out of California.